While a license is not required to become a home inspector in Pennsylvania, the home inspection profession is regulated by the state. Follow the steps below to become a legally compliant Pennsylvania home inspector. PA home inspectors must comply with the Pennsylvania Trade Practice Act 114, Title 68 Real and Personal Property Statute. PHII's Online Home Inspection Training and Certification Course, which includes a free non-profit association membership, meets Pennsylvania requirements for home inspectors. After completing the PHII course, you will receive a free one-year membership in the National Society of Home Inspectors. 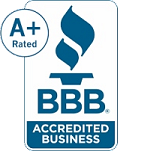 NSHI is a national non-profit home inspector association compliant in Pennsylvania. When you have completed your inspection experience log, NSHI will issue a Full Member Letter of Compliance, which you can show to clients and realtors to demonstrate that you are a Pennsylvania-compliant home inspector. A common question asked is how to participate in 100 inspections to gain full membership in a non-profit association and be fully-compliant. 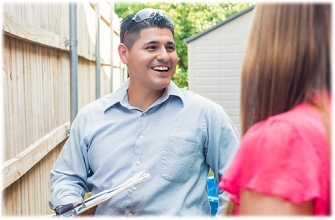 This is generally accomplished by shadowing or riding along with other home inspectors. There are many Pennsylvania home inspectors who can provide home inspector mentoring. You are responsible for mentoring fees and for maintaining a log of your experience. Pennsylvania has made several attempts to revise its home inspector regulations. The most recent was House Bill 1001 in 2018, which failed to pass the Senate. The past attempts at legislation have all been similar, proposing biennial licensing with a combination of course hours and up to 100 home inspections, which could make it challenging to become licensed in the future. House Bill 1001 would have also required Pennsylvania to report on the presence of mold, which is disclaimed by all home inspector association standards as being outside the scope of a home inspection. This would require home inspectors to reduce their liability by being trained in mold or to provide professional mold evaluations. Should this become part of new legislation, PHII has mold inspection training packages available. It is important to note that if you become a Pennsylvania home inspector before new legislation passes, you will have an easier path to becoming licensed in Pennsylvania through that law's home inspector grandfathering provisions. The previous attempts contained a 2-year provision for grandfathering. After passing PHII's home inspector exam and meeting any other state requirements, you will be well-qualified to perform residential home inspections in Pennsylvania. How long does your home inspection course for Pennsylvania take? PHII's Pennsylvania home inspection course can be completed in 1-2 weeks based on your past level of experience. However, you can take as much time as needed, and there are no limits on re-taking exams. The total course time for training in Pennsylvania is broken up into hours for course instruction, field assignments, report writing and testing. PHII's Pennsylvania course allows you to take your time or push yourself through quickly. How much does the Pennsylvania home inspection training cost? Professional Home Inspection Institute will teach you how to become a home inspector in Pennsylvania for the lowest average tuition rate in the industry. The course comes complete with all required instructional materials including 100% online access, workbook, back-up CDs, DVDs, and other materials you need to become a home inspector in Pennsylvania . You can view the current prices by clicking the link on this page or by calling 1-800-983-6322. Home inspectors in Pennsylvania should consider getting Errors and Omissions (E&O) insurance, which is a professional liability policy covering the policyholder for negligent acts and omissions that occur during an inspection. A good Errors and Omissions liability policy can help limit your out-of-pocket expenses if you are named in a lawsuit in Pennsylvania should a problem occur with a home inspection. Our coursework is approved for Pennsylvania home inspector errors and omissions insurance by major insurance underwriters. PHII gives Pennsylvania residents interactive training, experienced support, a lot of value and the most affordable tuition in the industry. Plus we offer a satisfaction guarantee. Over the years we have successfully trained thousands of home inspectors throughout the U.S. and Canada, including many home inspectors in Pennsylvania. We have been there to support our students from Pennsylvania during and after the training. We have up-to-date Pennsylvania home inspection course material, and we provide a turn-key system for setting up your own home inspection business in Pennsylvania. As a gold-level NAAHI-accredited training provder, PHII can offer all Pennsylvania home inspector graduates a free 1-year membership in the North American Association of Home Inspectors (NAAHI), a national non-profit professional home inspector association.